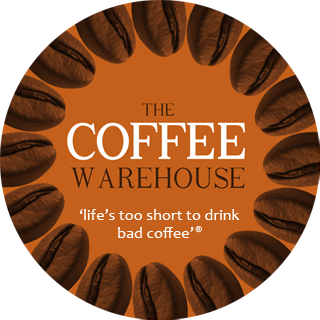 Tanzania AB "Shiwanda Farm" Coffee Beans Online | Fresh, Affordable Coffee. Just the mention of a coffee from Tanzania makes coffee addicts run to their espresso machines with a glint in their eye and a shaking tamper. In 2000, the 262 hectare farm was incorporated into Shiwanda Farms Ltd, under the ownership of Cornel and Georgia Apson. They have invested heavily to revive the farm to focus on high quality production. Coffee from the farm is fully washed at the central washing station using a McKinnon three disc pulper. Parchment is then dried on raised drying tables before being packed into sisal bags and kept in the farms warehouse. The farm contributes to the local community by employing more than 300 local men and women in a season. The farm has a strong principle of nature conservation; keeping the natural forest covering about 20% of the farm. Distances in Tanzania are vast - there's almost 1000 kms between coffee producing regions in the North and in the South, same for East and West. The altitudes are up to almost 2000 MASL in many places. 90% of coffee producers are smallholder farmers, owning between 0.5 to 3 hectares, and less than 10% of the coffees are grown at estates. Similar to Kenya, coffee came with the French missionaries in the late 1800s, and was planted around Kilimanjaro for the most part (there are the Bourbon varieties that are often seen as SLs in Kenya now). In Tanzania, with its Indian influence, the Indian Kent varieties came from Mysore in the 1920s. In general, there are two varieties widely used today, the Bourbon-descended N39 hybrid, and the Kent hybrid KP432, as well as Kent varieties K7 and K9.